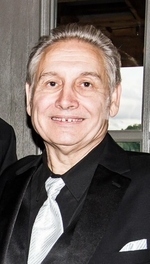 Roger Dale "Woody" Thacker, age 67, of Red Creek in Shelbiana, KY passed from this life at his residence Monday, September 3, 2018. Roger was born June 26, 1951 to the late Estill and Alma Mae “Slone” Thacker in Mingo, VA. Besides both parents, Roger is preceded in death by one brother, Charles Thacker. Roger is survived by his devoted daughter, Tereshia (James) Thomas of Pikeville, KY; former wife, Patricia Coleman of Shelbiana, KY; three grandchildren, Alleynia “Shelbie” Thacker- Dove, Lauryn Thomas, and soon to make his appearance, Daxton Thomas all of Pikeville, KY; one sister, Doris Huffman of Pikeville, KY; three brothers, Estill Dean (Melville) Thacker, Phinis Thacker, and Johnny (Donna) Thacker all of Shelbiana, KY; and a loving host of family and friends. Roger will be certainly missed by all who treasured and loved him. The family will accept friends at Thacker Memorial Funeral Home Wednesday, Sept. 5, 2018 and Thursday, Sept. 6, 2018 at 6:00 PM with nightly services beginning at 7:00 PM. Funeral services will be Friday, September 7, 2018 at 12:00 PM at Thacker Memorial Funeral Home with entombment following at the Isaac Thacker Memorial Mausoleum. James Hamilton and Homer Ramsey will be officiating all services for Roger. To send flowers to the family of Roger Dale Thacker, please visit our Heartfelt Sympathies Store.